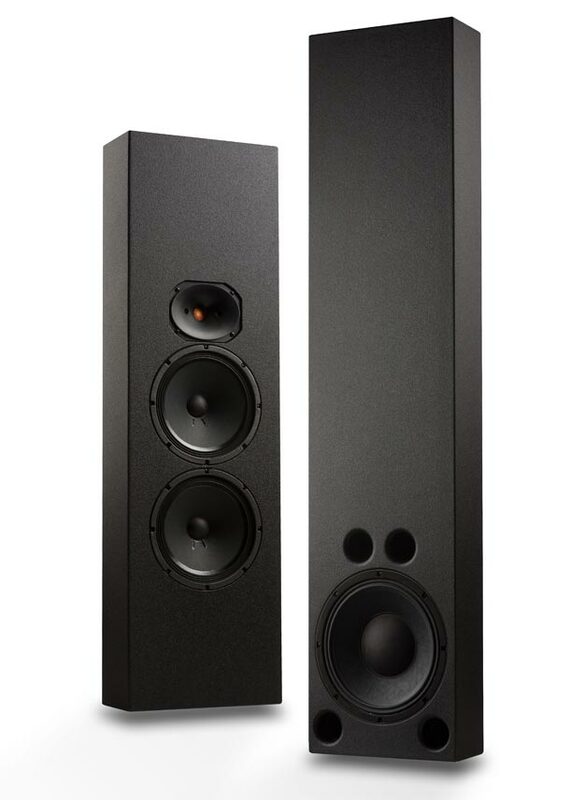 V stands for value as Pro Audio Technology unveils its most affordable full-range speakers to date, designed for small to mid-sized rooms. Indianapolis, IN – CEDIA Expo 2012 – September 5-8 – Sound Room 5 -Â Pro Audio Technology (PRO), the leader in professional-grade loudspeaker and digital amplifier technology, today announced the new V-Series loudspeakers, designed to deliver the high-impact dynamics for which PRO is known, but at a more affordable price than ever before. Both new models, the SCRS-210v full-range loudspeaker and LFC-12v subwoofer, feature enclosures only 6-inch deep, making deployment of high-output systems in small rooms possible. The two professional 10″ woofers employed in the SCRS-210v create an astonishingly high sound pressure of 102dB with one watt of input and combined, can handle 300W of continuous power. Offering even higher sensitivity, the 1″ annular-diaphragm compression driver produces 110dB-per-watt and delivers highs that are both detailed and extended, resulting in an effortless presentation that is both dynamic and life-like in scale. Striking the perfect balance of power and accuracy, the SCRS-210v fills nearly any space with cinema quality sound and concert caliber music without industrial-grade pricing or space requirements. For added low frequency support, the companion LFC-12v subwoofer features a high-output 12″ professional-grade woofer with huge 4″ voice coil. With sensitivity rated at 96dB driven with one watt, and power handling up to 700W, the LFC-12v has no problem producing the bone-jarring explosions or visceral slam found in today’s high quality recordings, all from an enclosure only 6″ deep. At only 14″ wide and 6″ deep, the SCRS-210v and LFC-12v have been designed for placement inside a 2×6 stud wall or behind the viewing screen for a clean and unobtrusive installation. As with all PRO products, DSP processing is a must. When paired with the companionPMA amplifier / processor, advanced digital EQ can be applied to compensate for speaker positions near boundaries or for the effects of placement behind viewing screens or fabric. As a system, the PRO V-Series loudspeakers and PMA amplifiers provide a level of sonic accuracy unparalleled at the price. “Dealers now have an option for price-conscious applications without having to sacrifice the commercial cinema caliber dynamics and output levels we built our business on,” Hales said. For more information about pricing and products, dealers can contact an authorized PRO distributor or reach Pro Audio Technology directly atwww.proaudiotechnology.com.